The true mastery of making someone laugh is as much an art form as Chopin, Van Gogh or Segovia. It’s a skill that cannot be learned and by & large cannot be imitated. It’s innate and those randomly chosen need no training, only discovery. Some of the chosen are not so much inherently funny as they can deliver jokes written by someone else smoothly and they have an innate ability to work audiences. Johnny Carson, Jay Leno and Jimmy Fallon. David Letterman had the gift for a while but burned out with time. All of them get rich and enjoy their lives. None have the frenetic “real” gift of Richard Pryor, Rodney Dangerfield, George Carlin, Craig Ferguson and Robin Williams. Traditionally, the popular media describes genius in association with “divine madness”, wondering which comes first, the divinity or the madness. I don’t think it’s a matter of an association. I think it’s the genome. For whatever desultory reason, the chromosomes on the ring of the truly gifted comic lie next to aberrancy. Hypomania, compulsive disorder, drug attraction and dependence. It’s difficult to tease apart all the components of this kind of genius. They integrate with each other and the result is an admixture of all. They have the innate ability to pull from any experience or occurrence instantly and re-interpret it to make it funny. Speed is implicit. They don’t need pre-formed jokes to deliver. They can come back with a humorous response to virtually any stimulus instantaneously. When delivering humor they move from concept to concept seamlessly never knowing what’s next till it pops into their head. It’s said the undisputed master, Richard Pryor, never knew what he was going to say in front of an audience till he started talking. It just flows like Segovia’s fingers. He doesn’t have to think about it. He’s somewhere else. Dangerfield worked exasperation to the hilt. Carlin made the complexity of language funny. One might predict that the brilliance of a comedian varies directly with an intensity they cannot sustain indefinitely. Richard faded away into pedestrian movie roles and somatic drug damage. Rodney to heavy drinking. George to drugs and alcohol. The unfortunate Robin Williams literally flew across the sky in a hypomanic blaze, then, like Hunter Thompson, got old and became irrelevant, reduced to occasional guest spots on hackneyed talk shows. Victims of new ages they both outgrew and both ended the hurt on their own terms. Pretenders such as Leno, Fallon and Letterman remain fat & sassy. This brings me to examine the comedian I continue to think is the funniest man in the world, Craig Ferguson. In his standup routines, Craig is in constant motion, working himself and the audience up to explore creative concepts of everyday life. His TV show producers too cheap to provide a “sidekick”, he created literal personalities of a ridiculous robot and fake horse such that the audience believed these creatures. They come alive when he talks to them. No one has ever seen anything like this before. Craig makes light of how surviving past alcohol and cocaine addiction shaped him, but he’s clearly hypomanic and the impression persists that these things aren’t too far from where he is now. That volatility defines his inimitability, and uniqueness defines his genius. Sadly, after ten years of presenting an innovative face to comedy, he’s quitting cold turkey in December 2014. This is very worrisome. 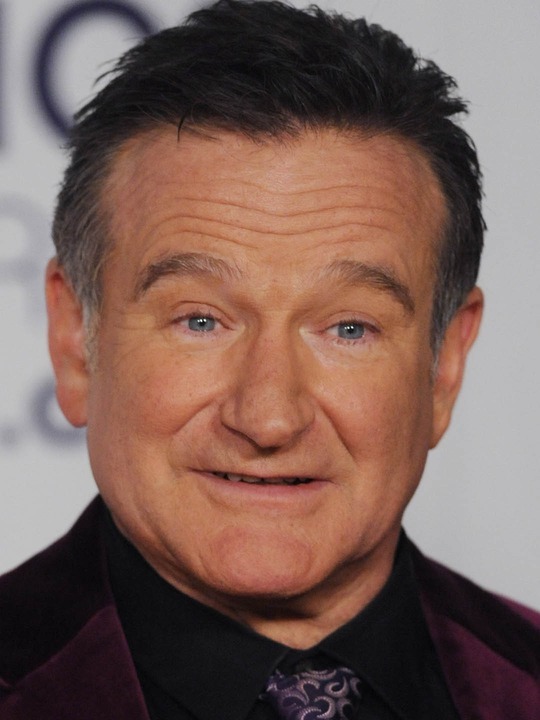 Those that have gone before him: Hunter Thompson, Kurt Cobain, Ernest Hemmingway, Alexander McQueen, Sylvia Plath, Vincent van Gogh all suffered the fate of Robin Williams when the intensity of their creative process faded. They quit life when it wasn’t fun anymore. Mike Darwin has forever said that death quickly follows retirement for such people. I fear for Craig Ferguson.